Bob has extensive commercial litigation experience including administrative agency proceedings, arbitrations, jury trials and appellate practice involving both multi-national corporations and small businesses. He regularly advises clients on antitrust compliance issues. 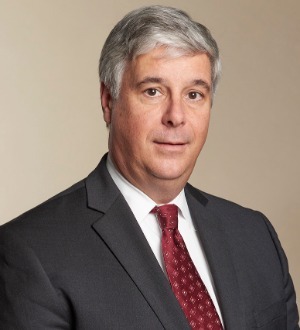 His practice focus also includes environmental litigation and arbitration; patent, trademark, trade secret disputes; stockholder and partnership disputes; and motor vehicle /dealership disputes. Bob is the firm’s liaison with Lex Mundi, the world’s leading association of independent law firms. He is an active member of the Lex Mundi Antitrust, Competition and Trade Practice Group and the Dispute Resolution Practice Group. Bob joined the firm in 1991 after practicing in New York City. Won a jury verdict in a trade secret dispute in the financial services industry.